Growing up in Ashville, N.C., James E. Ferguson II saw racial discrimination and inequity first hand. 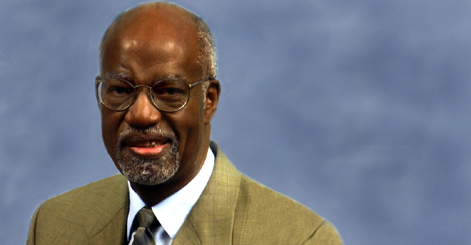 While in high school in the 1950s, he formed a student group to desegregate public facilities in his hometown. As a lawyer, he has devoted his career to advocating for the underprivileged, wrongfully accused and injured. One of Ferguson’s best-known cases is his representation of Darryl Hunt, an African-American man convicted of murdering a white woman in 1984. After nearly 20 years of trials and appeals going all the way to the U.S. Supreme Court, Hunt was finally exonerated in 2004. Ferguson also succeeded in getting convictions overturned for the “Wilmington 10,” who were convicted in 1971 on charges of arson and conspiracy to fire upon firemen and police officers during riots that grew out of racial tension over school desegregation. In recent decades, the name partner of Charlotte-based Ferguson Stein Chambers Gresham & Sumter has focused his practice on catastrophic injury and wrongful death cases. He talked to Lawdragon about his life and career, including his efforts to bring trial advocacy training to black South African attorneys. Ferguson also shared his views on civil rights and other matters from Martin Luther King through President Barack Obama. Lawdragon: What got you into law in the first place? James Ferguson: Well, there were a couple of things that directed me into law very early on. One was a high school experience where I had joined with some friends of mine to desegregate public facilities in Ashville, North Carolina, where I grew up and was going to school. This was right after the sit-ins broke out in Greensboro, North Carolina, and we didn’t have a black college in Ashville. My colleagues and I wanted to be involved so we formed a group called the Ashville Student Committee on Racial Equality. One of the first things we did was seek legal advice. We contacted the only two African American lawyers in town. They agreed to meet with us. Instead of giving us the legal discourse we thought we were going to get, they said do what you have to do and we’ll be there to help you. I decided then that I wanted to be available to help the community just as these lawyers were willing to help us. My passion from that time on was to be into law to try to make our communities better and to help those people who needed help most. LD: Did you have any important mentors? LD: What has been your firm’s focus—it’s goals—and have they changed over time? JF:: I’m not so sure we had goals as much as we did vision. And that vision was to give and help those who needed help most and to try to help people in every aspect of their lives. That has sort of been our guiding principle and that’s what we’ve always tried to do. We’ve tried to help people who didn’t have rights gain rights, people who didn’t have opportunity to gain equal opportunity and to help those who are injured get just and adequate compensation for their injuries and to promote and protect rights. So that led us into a number of different areas. We did a lot of the early civil rights cases in North Carolina. We did criminal defense and we represented those who were injured, particularly those who were catastrophically injured. All of that stems from this whole notion that you help people who need it most, who need a voice, who need someone to speak for them. A lot of the interests in our society have resources and they can go out and hire anybody they want to. A lot of the people who we represented had few or no resources. And in the legal arena, you’ve got to have resources; you’ve got to have someone going to speak for you. We try to be their voice. LD: What types of cases are you presently handling? JF:: I do a variety of cases. Right now my concentration is more in catastrophic injury than in anything else. I do quite a few medical malpractice cases, wrongful death cases, police misconduct cases where people have been badly injured. That’s a lot of what I do now in contrast to what I did starting out. When starting out, I did quite a few core cases, constitutional rights cases, civil rights cases and that sort of thing, which we still do but my own concentration has shifted more toward the catastrophic injuries right now. LD: What are you most proud of personally or professionally? JF:: One thing I take great pride in, although I don’t know that it is above everything else, but it certainly stands out to me in my mind of things that I find to be quite rewarding, is the experience I’ve had in training lawyers in South Africa who were operating under the Apartheid system at one time. I joined with a colleague of mine, Ken Broun, who had been Dean of the law school at University of North Carolina and we took trial advocacy training to South Africa and did the very first trial advocacy training that South Africa had for practicing lawyers. We were working with lawyers who were seeking to end the Apartheid system. Many of them were black lawyers who were marginalized at best and arrested and worse. We were able to work with them, teaching and training them in development of trial skills that would be useful to them in dealing with their court system there. I’ve been involved in that work since 1986 and I’ve been back and forth to South Africa on a regular basis since then doing that work. I see many of the lawyers there who at the time we went down were excluded and marginalized and had no real impact. I’ve seen them develop and actually become people who are running the government now. It’s just a gratifying experience for me. And I think being fortunate enough to be able to practice law, we ought to try to give something back and try to help society in all ways we can. LD: Do you feel there is a particular case that made you who you are today? JF:: I don’t think there is one particular case. There have been a lot of cases that have great meaning. I don’t elevate one case above another. I look at the totality of cases I’ve had that have had an impact on people’s lives and have made a difference for them. I suppose if I wanted to talk about a case that stands out in my mind it would be the Daryl Hunt case that I handled with my colleagues. Daryl Hunt was charged with a heinous murder when he was 18/19 years of age and he insisted on his innocence. I believed in him and some others believed in him and I decided to represent him. He had already been convicted when I joined the case. As it turns out, we worked on the case for 20 years. Eventually, he was exonerated by DNA. LD: I read that over 15,000 hours were devoted to that case and the fee should have been $2.5 million but the court only awarded $100,000. Why didn’t you pursue further compensation? JF:: I wasn’t in it for that. I was in it to help and that was important to me. We were devoted to the case. That’s what we did. Even if we had gotten fees, it wouldn’t have been close enough to compensate for the time we had devoted to the case. At times we have pursued fees, but we were invested in this case for different reasons. That’s where our focus was. LD: Tell me about the Wilmington 10 case—where the defendants were sentenced to a total of 282 years in prison and you got their convictions overturned? JF:: That case involved nine young men and one young woman who were trying to get as much equity as they could in a newly desegregated school system and as they sought to do that they were threatened by whites in the community. They met in a church and the church was placed under siege by white vigilantes but they stood their ground, protected themselves, protected the church and out of that came some challenges and a terrible ordeal and peril for them. We fought for them for nine or 10 years before we were able to get a court to vindicate them. That was a case where we started out not knowing when or how we would get payment for it but it was one where we felt we ought to act. Then somewhere along the lines, the United Church of Christ Commission for Racial Justice got interested in the case and provided some financial help in carrying the case forward. LD: You talked about them facing peril, but you also faced personal safety issues and threats through the years. How did you go forward? You had to be afraid for your life. JF:: No. If you’re afraid for your life you’ll never get anything done. You don’t focus on that. You focus on the importance of what needs to be done. You do that and everything takes care of itself. I don’t mean by that that you should be foolish or foolhardy. You operate as safely as you can, but you operate. You do what you have to do. And if some danger comes of that, so be it. I guess like Martin Luther King said, if a man has nothing to die for, he really has nothing to live for. So you have to follow your beliefs and hope you’ll be safe in doing that. There’s always a chance that some harm will come. LD: You’re been around through great change—from before Martin Luther King and now there is the first African American President, Barack Obama. What are your thoughts on Obama as President and how the world is changing? JF:: I think the election of Barack Obama is one more giant step toward achieving equality in this country. I think he stands as a great beacon of light and hope for the country and for the world. He is, in some ways, the culmination of the dream that Martin Luther King spoke about back in 1963. When he spoke out he was an outsider and Barack Obama I suppose in contrast speaks as the ultimate insider, as the leader of the free world. So things change, things pass. It’s been a long time since Martin Luther King spoke in Washington, but we’ve kept on and now we have an African American president who is the right person for the right time and I think he’ll take us further along this course. Of course this does not mean that the movement for civil rights is over. It just means that it has reached a certain plateau from which we go forward. We have to hope that. LD: How do you see the economic downturn impacting diversity and employment? JF:: They do become less fair. And it’s the job of lawyers to try to keep it fair and to always bring us back to those core principles that make us who we are and to insist that the gains we’ve made remain and that the law is responsive not just to those who are in power but to those who are not in power. We’ll have to resort to some of the principles that have already been established to make sure that the people who are last in are not necessarily the first out. A lot of our struggle has been about creating more opportunity and in order to do that you have to hire and help more people to work toward that end. LD: It’s hard to reach a position of influence and power, but you have. But I guess it is the support you receive from your family that made you who you are today. JF:: That makes all of the difference. Power and position and all that doesn’t mean much in the long run. What does mean much is having people who care about you, love you, nurture you and support you with what they have to give. And we find that the most highly educated people are not always the best people in character and we look for people who have strong character irrespective of what kinds of material things they have. And I have always appreciated my parents for demonstrating to me that quality in people. And I can look at people and see them for who they are and not see them for what title they have been able to attain.